Sarpalius later served in the United States Congress. As a Lithuanian American, he took a special interest in that nation’s fight for independence from the Soviet Union. For his efforts, Sarpalius received the highest honor possible to a non-Lithuanian citizen and was named a “Grand Duke.”The Grand Duke from Boys Ranch is a unique political memoir—the story of a life full of unlikely paths that is at once heartbreaking and inspirational. 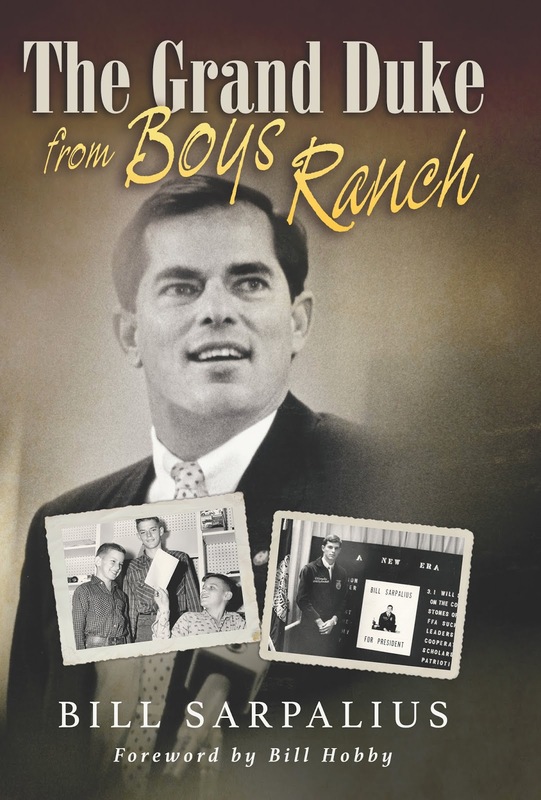 Former Congressman Bill Sarpalius’ memoir, The Grand Duke from Boys Ranch, chronicles a remarkable life that progresses from an illiterate child whose father abandoned him and whose mother battled depression, alcoholism, and suicidal tendencies, to Future Farmers of America President, to a brief career in agribusiness and teaching, to a position in the Texas Legislature, and ultimately to the U.S. Congress. It is at once compelling and inspirational, and should appeal to readers looking to overcome obstacles and accomplish their own dreams. Each of the aforementioned touchstone events in Bill Sarpalius’ book is presented in one of five parts that correspond to the turning points in his life. Of these, the one that put him on the road to public service and convinced him that “God had a plan for him to help people” is Part I: Cal Farley’s Boys Ranch. Of course, when Bill Sarpalius’ mother dropped him and his two brothers off at the Boys Ranch in 1960 in an act of desperation, it was at a time when childcare facilities in Texas were unregulated, licensed, or inspected (the Texas Child Care and Licensing Act wasn’t passed until 1975.) The volatile mix of boys and staff sometimes resulted in abuse, and Mr. Sarpalius candidly discusses corporal punishment, sexual assault, and the initial struggle to survive. It is a testament to his character and determination that when he finally emerges from Boys Ranch he leaves with an education, self-confidence, profound faith, a work ethic, and lasting friendships. In fact he will attribute his time there as the reason for his later success. The remaining four parts to the book were less compelling for me. The memories of his rise to political prominence and his accomplishments in office just didn’t resonate with me for reasons that I think had more to do with writing style than story. In many instances his stream of consciousness results in random thoughts and reflections that don’t seem to fit into the context or chronology of the situations being described. And, because the focus of any memoir is the author, all events, reactions, opinions, thoughts, feelings, and outcomes are filtered through that one viewpoint. There is always the danger that they may come across as less than objective, which is especially true in today’s political climate. The “I/me” perspective employed by Mr. Sarpalius definitely invites reader intimacy, but it also runs the risk of appearing self-aggrandizing. Though not for everyone, The Grand Duke from Boys Ranch is a unique political memoir that many readers will enjoy. I received a free copy of the book from Texas A&M University Press & the Texas Book Consortium in exchange for my honest opinion. 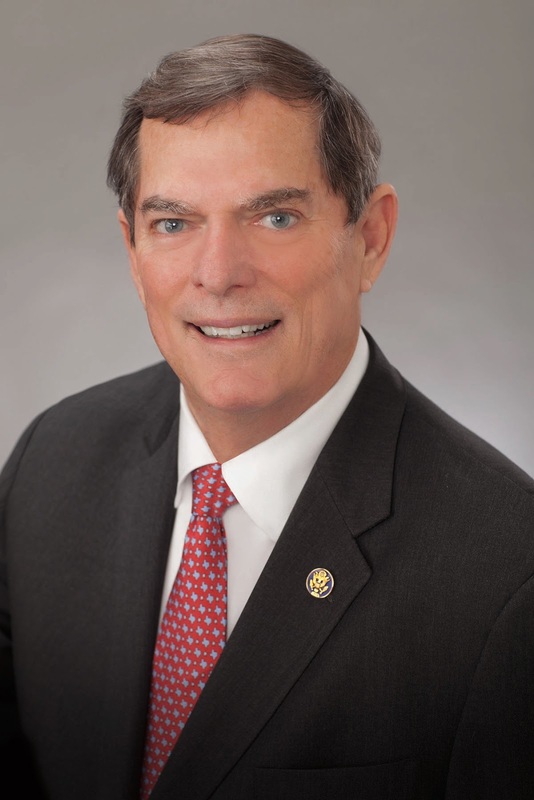 BILL SARPALIUS represented the Texas 13th Congressional District from 1989 to 1995, and from 1981 to 1989 he served in the Texas State Senate. He currently is a motivational speaker and serves as CEO of Advantage Associates International. He divides his time between Maryland and Houston, Texas. This is an excellent, balanced review. Thanks for giving us readers a good peek at what’s inside the covers.